Teen Summer Workshops offer a series of one-week workshops in the summer for teens seeking a rigorous in-depth experience in a chosen area of concentration. In addition to studio classes, weekly guest speakers (practicing artists and designers) will share their stories and career paths. Lectures about art and design will familiarize students with design history, cultural icons and design trends. The program will conclude with a final exhibition and celebration of student work open to friends, family and educators. Students develop the skills necessary to research, compose, and capture digital photographic projects in a hands-on course. Students are encouraged to be creative, but are also taught to think of each project as a concise statement of artistic, documentary, and/or journalistic intent. They expand their repertoire of techniques with light and shadow as they work with professional lighting and grip hardware, as well as inexpensive and unconventional practical sources of light and shadow. GRSB provides all equipment. Professional instructors with real-world music production experience teach you how to record, mix, edit and produce digital music. 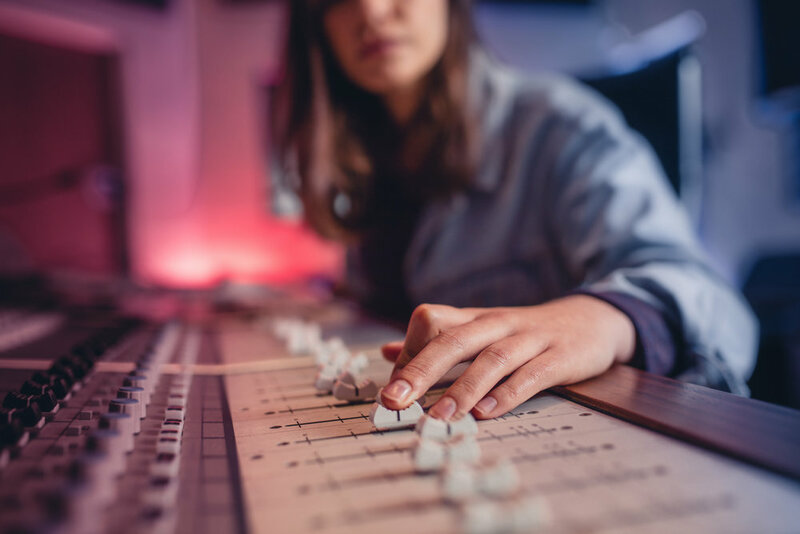 During the Music Production Track campers learn key music production concepts like songwriting and musical arrangement, in addition to learning how to create/modify sounds and even program drum beats and patterns. The entire process of making digital music is explored here. Learn the ins and outs of journalism. Girls learn basic web reporting, interviewing, editing and news writing techniques. Students spend part of the day in a classroom environment designed to mirror a professional newsroom, where they brainstorm story ideas, research current affairs and learn how to write news stories, the other half of the day is spent interviewing in the field. By the end of the program, students will have produced multiple stories on a chosen topic of interest.